Georgia Heraty is the quintessential Vancouver gal; a girly-girl with long, blonde hair, who came to our meeting in rain boots. She doesn’t enjoy wearing make-up on the weekends, and thinks the best way to de-stress is to sweat it out. Georgia loves Vancouver for its rough-around-the-edges beauty: mountains, ocean, sand and snow. With a seashell tattooed on one ankle, and a snowflake on the other, the West Coast lives within her. 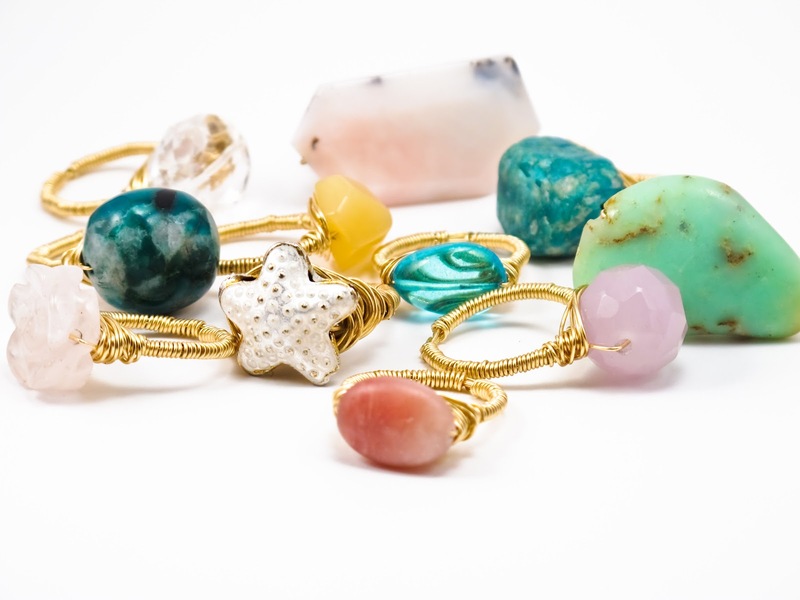 She is the founder of Social Experiment, designing one-of-a-kind cocktail rings. The stone’s irregular shapes and imperfections are tied to Georgia’s West Coast spirit; nothing is perfect in nature. Georgia asked to meet at Coco et Olive, an adorable fine foods café. We sat on mismatched chairs around a scuffed-up table, and sipped from teacups that could have come from my grandmother’s china cabinet. This charming café, with its beautiful imperfections, was a fitting place to hear the Social Experiment story. With a need for something new, Georgia enrolled in a simple ring-making course and began giving her creations away as birthday gifts. With a nudge from her friends, she became a one-woman assembly line and reached out to local boutiques. Like Vancouver’s wild weather, Georgia never expected this hobby to become a business; Social Experiment evolved organically. “It starts out of nothing,” says Georgia, “but it can fall into place”. Social Experiment has a very literal meaning. 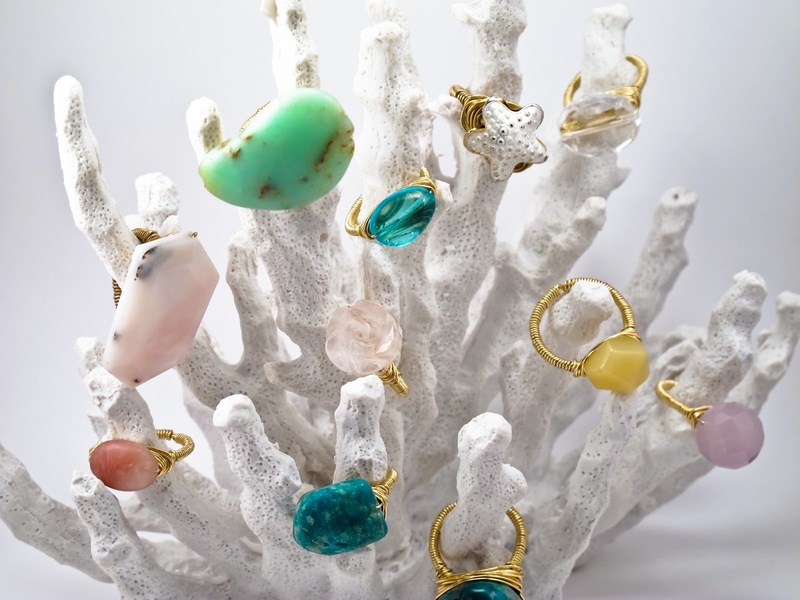 Georgia wanted to test the waters, and considered selling rings at beaches and parks. Voila! A social experiment. Social Experiment has only really gotten on the Vancouver map within the past year or two. Using semi-precious stones and gold wire, no two rings are the same; everyone might own one, but no one will own the same one. 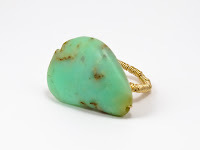 Georgia’s favourites are the sea foam green Chrysoprase and the Peruvian opal cut at different angles, but every stone she picks is something she herself would wear. Dubbed by her girlfriends as Type A Hippie, Georgia balances an always-on-the-go city life with West Coast living: “Nothing about my personality is in the middle”. Georgia is a personal trainer, French student and aspiring gym teacher by day, and jewellery designer in all the times between. What exactly can’t she do? Not much it seems. Georgia attributes happiness and success to positive thought. “I really do believe you can manifest what you want”, says Georgia, and while she never anticipated Social Experiment, she refuses to let this opportunity slip away. Over the past year, Social Experiment has blossomed thanks to her fearless approach to business. She calls herself impatient, and isn’t afraid to be aggressive when there is something she really wants. But sitting across from Georgia, smiling wide in her pink scarf and Mala beads, she was a perfect sweetheart. She may be learning French, and have a dual citizenship for Europe, but Georgia’s body, heart and soul is in Vancouver. Inspired by nature’s imperfections, she designs for the classic West Coast gal, and women who just appreciate beautiful things. Georgia lives every day in the moment, whether it’s outdoors, at school, or in her apartment making rings and watching awful TV. Sore hands and all, Georgia appreciates life’s imperfections.